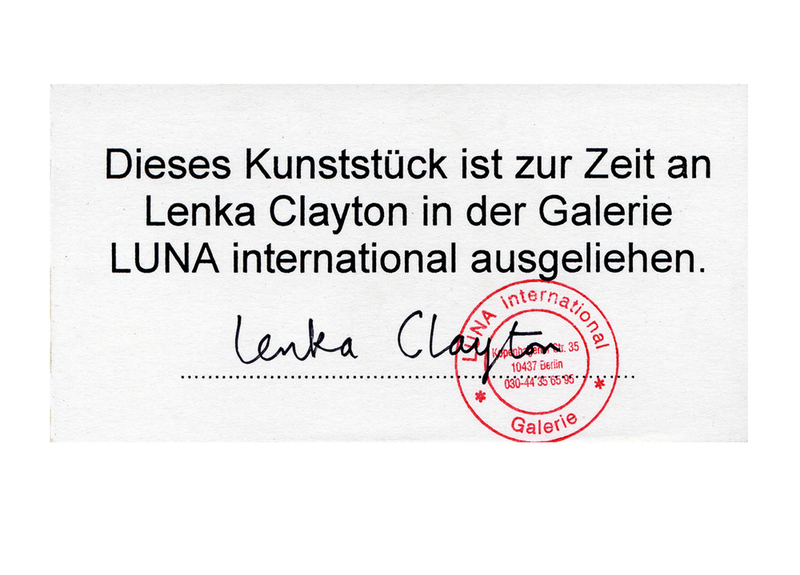 For two weeks I visited every flat and business on Kopenhagener Strasse, an East Berlin street on which the gallery LUNA international was situated. At each door I asked the residents if they had any art in their homes. 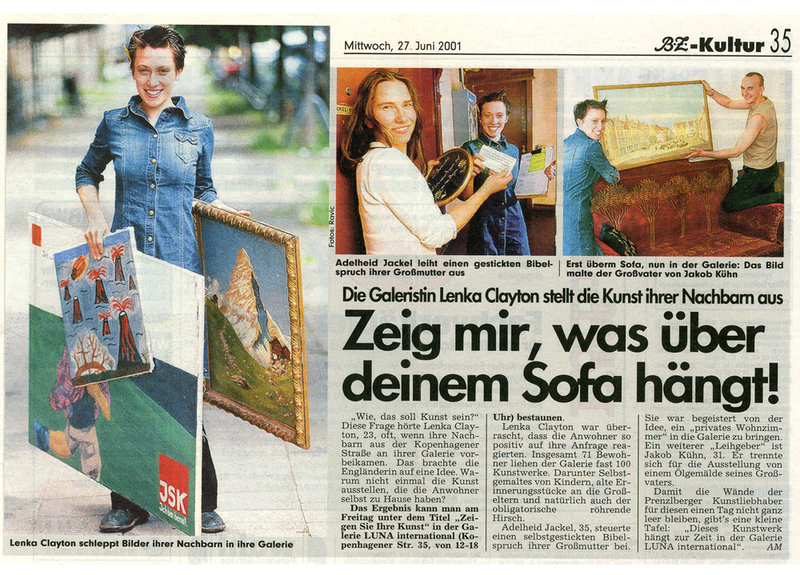 We negotiated and I arranged to borrow the artworks for an exhibition. I filled the unfaded, empty space each artwork left on the wall with a small sign indica­ting that it was temporarily on loan. Slowly the homes emptied and the gallery filled with art. The collected works were hung salon-style in the gallery, arranged topographically from floor to ceiling. Each was labelled with the name and address of the lender. At the opening neighbours met one another through their art works. 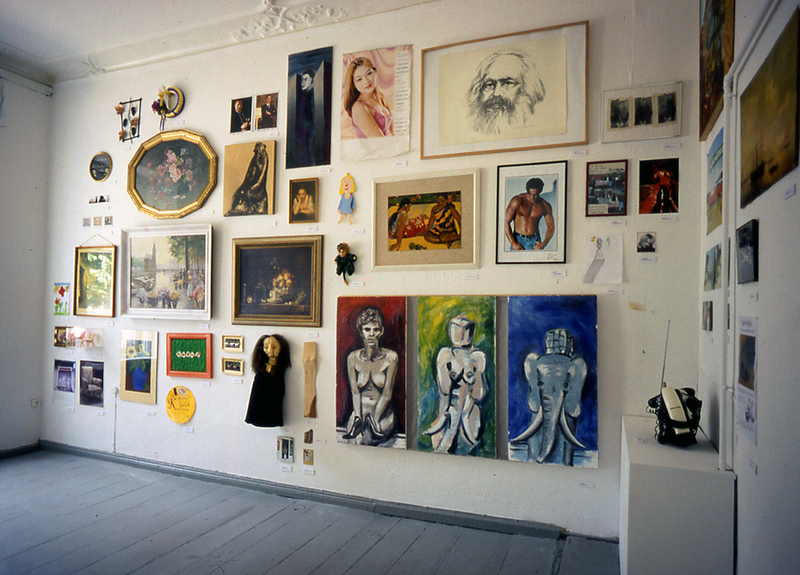 Exhibited in a solo exhibition at LUNA international, Berlin, 2000.